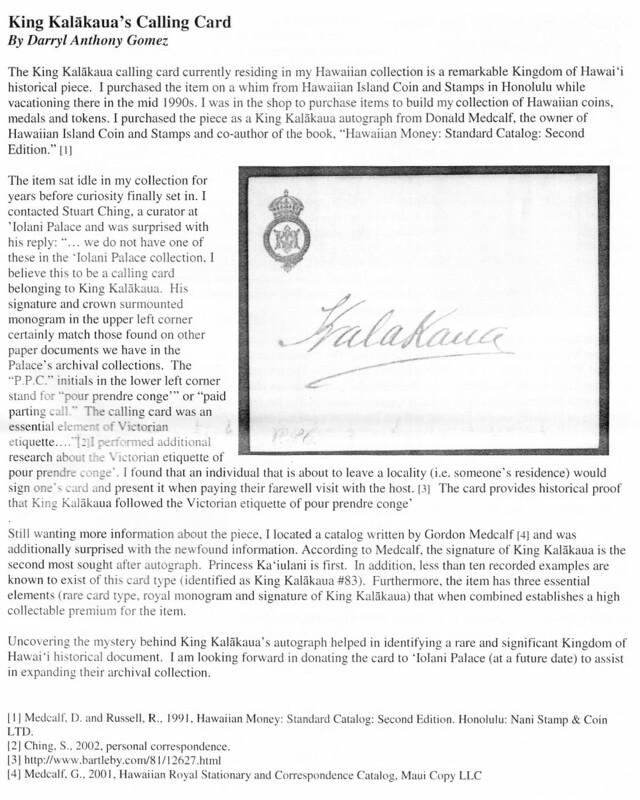 Back in 2010 I donated a piece of Hawaiian history to ‘Iolani Palace. They did not have a specimen in their collection. After the donation was made they put my wife’s and my name on a 2010 donors plaque that resides in the palace today. An article I wrote and was published in the newsletter of Hawaii State Society of Washington DC. Click to enlarge. 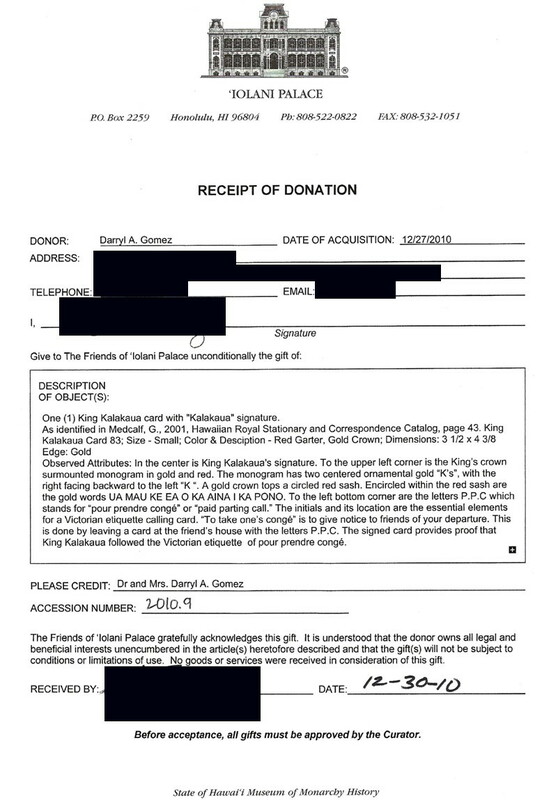 Here is the donation acknowledgement. Click to enlarge. 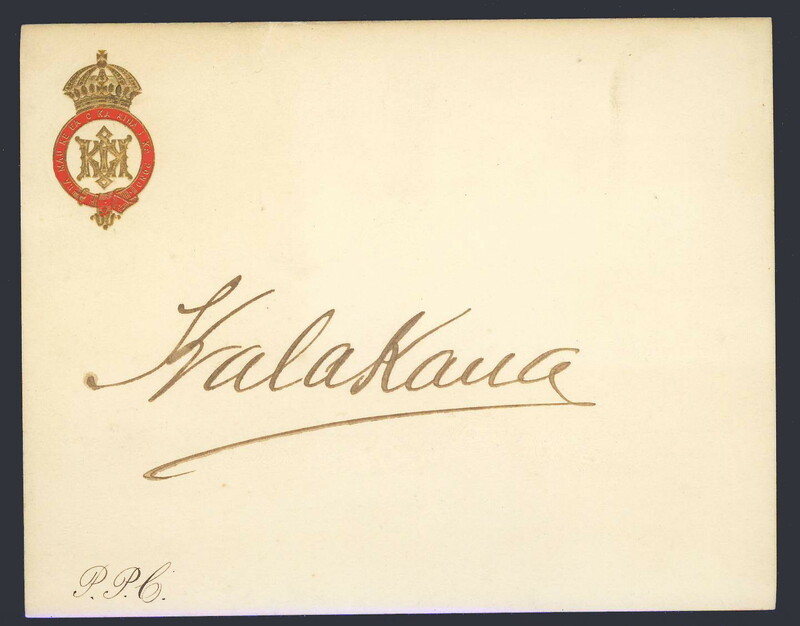 This is the actual Kalakaua calling card that was donated. Click to enlarge.